Former undisputed cruiserweight champion and heavyweight titleholder David “Hayemaker” Haye 28-3 (26) has praised WBC No.1 heavyweight contender Dillian Whyte for his highlight reel KO of big Aussie Lucas Browne at the O2 Arena in London on Saturday night. The 29-year-old Whyte outboxed Browne and busted him up early, opening a cut over his left eye as early as the first round and targeting it for the rest of the fight. It was all one-way traffic until a left hook from Whyte put Browne out of his misery, knocking him out cold and sending him face-first to the canvas at the start of the sixth. 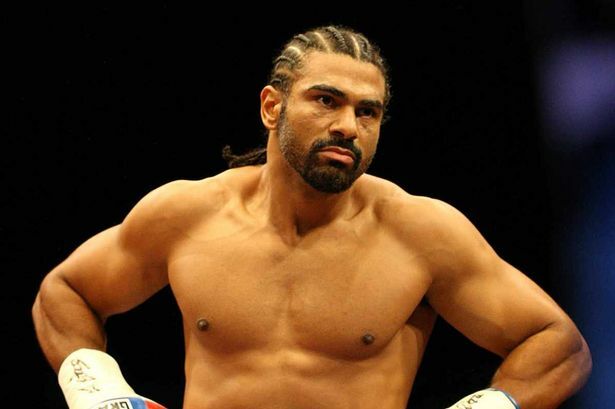 The 37-year-old Haye, who was seated ringside for the fight, told Sky Sports that he was impressed by the Brixton bomber’s performance. “I thought Dillian Whyte boxed beautifully and did exactly what he needed to do to get a spectacular knockout win,” said Haye. The outspoken Haye was less generous toward the 38-year-old Australian, who he said hadn’t prepared properly for a fight of this magnitude. “I was saddened by the state Browne, who I hope is well, walked into the ring in. He had no timing, no rhythm, no pace or strategy whatsoever. It looked like he was trying to break Whyte’s hands on his face in the hope of getting a win.